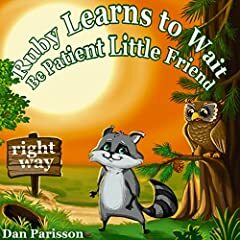 Ruby Raccoon is an easy to read, easily understood story of a curious little Raccoon who wants to find food and a place to sleep but he is impatient, and his impatience gets him into trouble. At this point, he realizes the value of patience, good manners and listening to good advice. He forms a friendship with the Owl Wise Owl for teaching him these incredibly important virtues.